The average price for this game in the past 6 months is $10.61. The game first became 50% off on Jun 25, 2015 at GamesRocket. Lowest historic price was $7.99 on May 9, 2018 at Green Man Gaming. Cheapest price on Batman Arkham Knight Premium Edition for PC is available again at $8 from Fanatical. The Steam key gets you everything including the season pass. Some of the major issues with the game has been resolved tho it's almost a certain this is not a PC friendly port. Having said that, $8 for one of the best Arkham series game is a great pick-up. For 48 hours Batman: Arkham Knight Premium Edition is only $8 at Fanatical. This is the edition which includes the game + season pass. This ties the lowest ever price for the game (which was just 3 days ago during GMG's Birthday Sale). 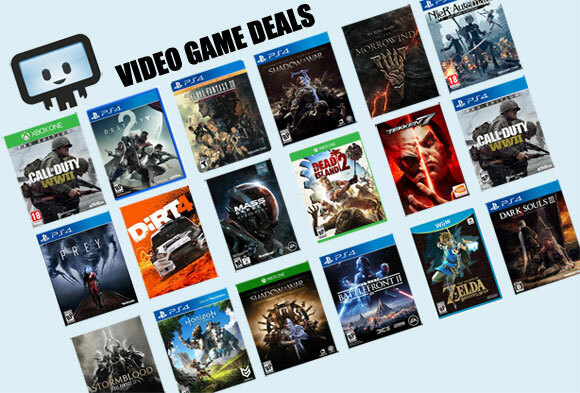 Great price if you missed out on the recent GMG sale. Bundle Stars PC Gaming Summer Sale now includes the lowest price ever for Batman: Arkham Knight with a drop to $4.49. If you're willing to splurge for the Season Pass content as well, get this Premium Edition, also a historic low price after coupon. Officially released and still 46% off at GMG. Supposedly some frame rate issues on the PC version of Arkham Knight, so hey if you're still going to get the game get it as cheap as possible with our coupon at GMG. The 10% instant savings still exists on Arkham Knight at GMG (and stacks with the 40% off coupon). Today might be the last chance to grab a 46% discount on the Batman: Arkham Knight Premium Edition. The GMG 40% off coupon code is set to run through most of Friday, but the 10% pre-order instant savings will likely end tomorrow, and will raise the price to $60. The game is essentially live for the PC as of writing. The average price for this game in the past 6 months is $4.94. The game first became 50% off on Jan 17, 2016 at Fanatical. Lowest historic price was $4.49 on Mar 12, 2019 at Fanatical. An $8 purchase in the Steam Summer Sale, but today at GamersGate Batman: Arkham Knight has dropped to $4.60. Lowest price to date and 77% off the usual $20. Competition is always great for gamers. Bundle Stars has Steam clearly beat with Batman: Arkham Knight at new historic low price of $4.74 vs Steam Store's $7.99 deal. Sure the port didn't kick off to a good start but at under $5 we think it's a fair purchase. Five bucks Arkham Knight deal returns again which ties the lowest price at NewEgg. Elsewhere online a $20 purchase. Offer is good through Wednesday. In a new 24 hour only sale Bundle Stars has Batman: Arkham Knight down to five bucks. Ties historic low, a price not seen since February of this year and not before. Arkham Knight is now only $7.49 - a new low price for the infamous Steam copy. Now semi-fixed, the decent (but poorly ported) game is a can't-miss for Arkham series fans. The average price for this game in the past 6 months is $10.00. The game first became 50% off on Nov 18, 2016 at Microsoft. Lowest historic price was $10 on Nov 14, 2018 at Microsoft. The average price for this game since released is $26.83. The game first became 50% off on Nov 17, 2015 at GameFly. Lowest historic price was $5.87 on Nov 8, 2017 at GameStop. Awesome deal on used copy of Batman: Arkham Knight at GameStop as they're further discounting the PS4 copy to only $7. Use CAG16 to knock it down further to $5.87. Free shipping is available if you order is above $25 with code SAVER. Today only Best Buy is making a new low on Batman: Arkham Knight for the Xbox One and PS4 with a drop to $7.99. Cheapest ever by $2 and $12 off the usual $20. Free store pickup or free shipping if your total order is $35 or more. Batman: Arkham Knight on the PS4 down to $12 at Amazon today. Digital code (no physical delivery) at its all time low by $3. Console gamer looking for a deal on Batman: Arkham Knight? Today Best Buy has the PS4 and Xbox One down to $15 with free store pickup - a new low by $3. While Arkham Knight bombed on the PC, the game is still a good pick up for the PS4/Xbox One. Only $18 from Gamefly for their used copies (though they're giving you new case + inserts). Free shipping. Today the Batman: Arkham Knight Bundle dropped to 66% off at Fanatical. Includes the base game with the Season Pass and all DLC. Just Arkham Knight alone without DLC is $20 on Steam. This bundle includes Batman: Arkham Knight plus all DLC. The average price for this game since released is $16.87. The game first became 50% off on Jul 18, 2016 at Fanatical. Lowest historic price was $9.99 on Sep 12, 2017 at Fanatical. Another new historic low price, this time on Batman: Arkham Knight bundle - granting you a complete edition for one low price. Steam key. The average price for this game since released is $28.57. The game first became 50% off on Nov 17, 2015 at GameFly. Lowest historic price was $7.99 on Jul 26, 2016 at Best Buy. Batman: Arkham Knight on the Xbox One is only $20 today at Best Buy. Shipping is free if you have a total order of $35+ or free store pickup available. Those with the Gamers Club Unlocked status at Best Buy will get 20% off. New low on Batman: Arkham Knight for the Xbox One hitting $39.99 at Best Buy. Hilariously, if you want to buy pre-owned at Best Buy you'll have to pay $10 more ($49.99). Best deal for the PS4 version is still Target for $38.99 which seems to be a deal with longevity. New low on Batman Arkham Knight on Xbox One. NewEgg has it for $45 with free shipping. That's the first significant price drop we've seen on this platform. Solid value for a well reviewed game only 2 weeks old. If you want Batman: Arkham Knight on the Xbox One and shipped to your door on the June 23rd release date jump on this deal from the Microsoft Store. Preorder by 2pm Pacific today and get free release day delivery and a bonus $10 Gift Card which is redeemable on Xbox Live. Cheapest pre-order price on Batman: Arkham Knight for Xbox One and PS4 this week at Newegg for $53. Releases June 2 next year. Thanks to a coupon code that gives you a total savings of $7. The average price for this game since released is $17.63. The game first became 50% off on Jun 25, 2015 at GamesRocket. Lowest historic price was $4.49 on Aug 8, 2017 at Fanatical. Batman: Arkham Knight Season Pass just became available today at GMG. Why is this so important? Because the 25% off coupon works on it making the best price online. After what seems like a million delays, the game will Arkham Knight FINALLY releases on June 23rd.